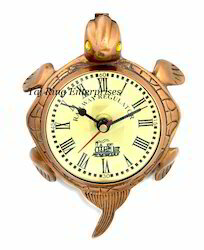 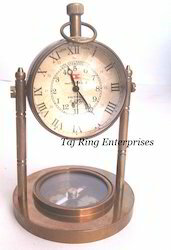 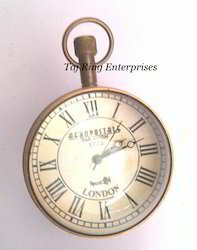 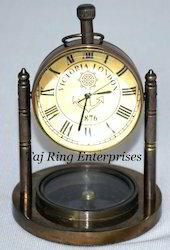 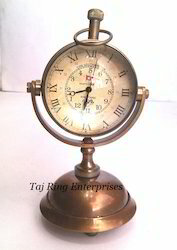 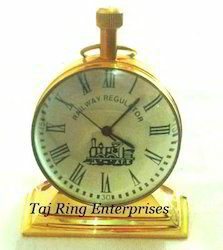 Our range of products include antique table clock, railway desktop clock, antique brass clock, antique clock with compass, antique table top clock and antique 19231923 table clock. 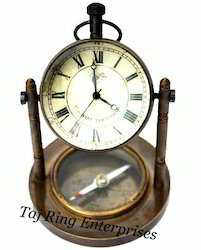 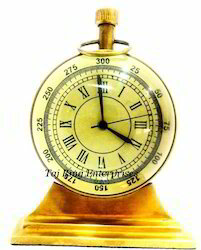 Height:- 5" , Base:- 2.5" Clock Dia:-2"
Beautiful Polish Finish Paper Weight Standing Clock With its see-through design and Roman Numerals retro style, this clock will make a gorgeous addition to piece or table, but will also be the perfect present for someone else or a treat for yourself! 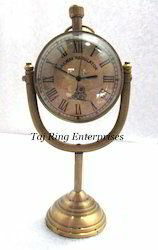 Its best gift for collectors and home purpose use full desktop clock All work is hand made its beautiful Brass Table Top Clock ... Beautiful Polish Finish Paper Weight Standing Clock With its see-through design and Roman Numerals retro style, this clock will make a gorgeous addition to piece or table, but will also be the perfect present for someone else or a treat for yourself! 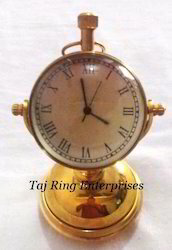 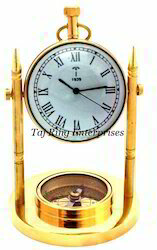 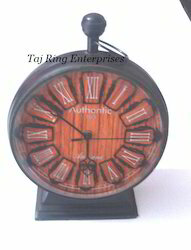 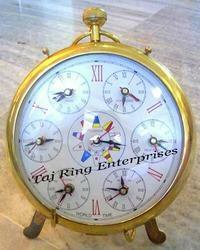 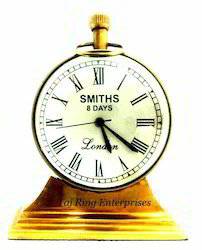 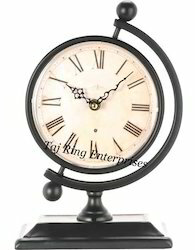 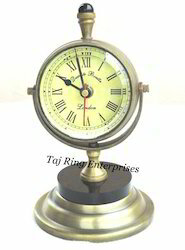 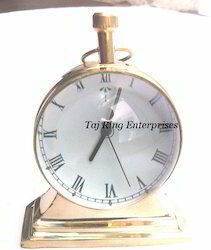 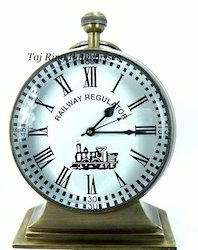 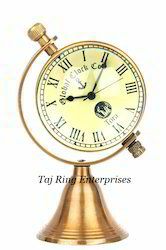 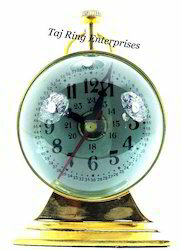 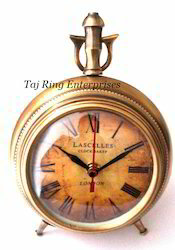 Height:- 5" , Clock Dia:-2"
Clock Dia:-8", Clock Ht:- 11" & Base:- 5.5"
Clock Dia:-4", Clock Ht:- 14" & Base:- 5"
Ht:- 8cm. 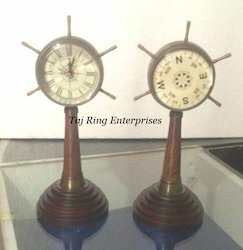 , Base:- 6cm & Dia:- 5cm. 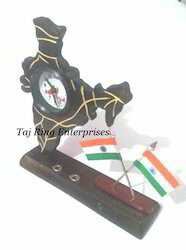 Size:- Ht:-23cm. 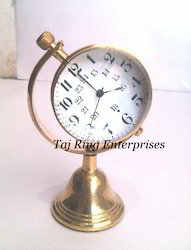 , Base:- 23cm. 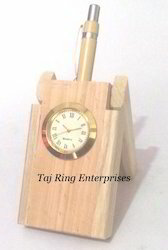 , Length:- 6cm. 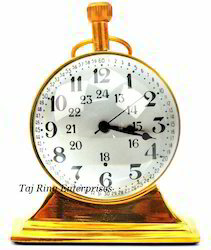 Ht:-20 cm , Clock Dia;-3.5cm.